Regardless of whether you are building a fiberglass or vinyl liner pool, a pool light will generally come with the package. The light enables nighttime swimming. But the type of light you choose makes a big difference in terms of ambiance. Many customers I talk to prefer upgrading to LED lights, because they are brilliant and more cost-effective in the long run. Here’s why. 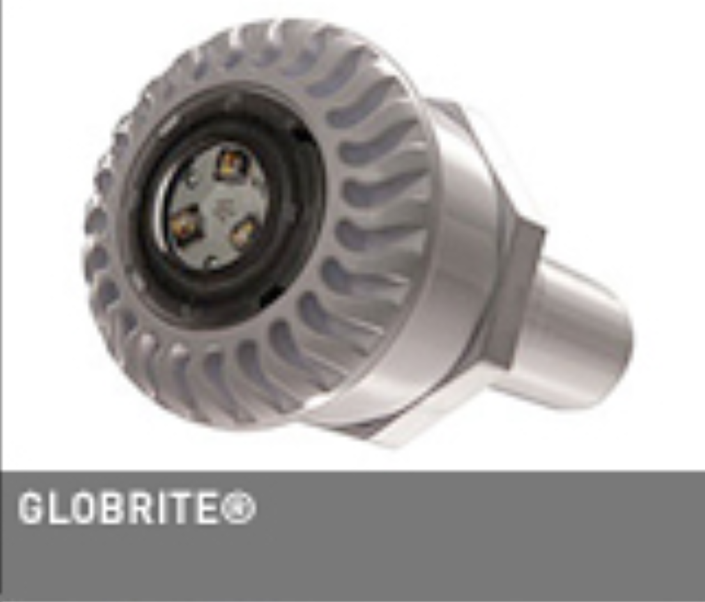 LEDs have taken over the pool lighting business leaving the traditional lights in the dust. The problems with electric lights were long: the niches were a constant source of leaks, they burned out too quickly and were a pain to replace and having 110V attached to your pool was always a disconcerting thought. Fiberoptics eliminated some of the above problems but were just too dim and high maintenance. Enter the LED light; they are energy efficient, seldom leak, last longer and provide diffused, brilliant colors at a very afordable cost. You can create nearly any effect you want pretty inexpensively with LEDs. They are a bit more expensive than other options, but they last a long time and you will spend nearly 80 percent less on power to operate them. What else can you do with LEDs to create ambiance? Because you are utilizing multiple lights, you can use them to highlight key areas like steps or a sun shelf or a water feature. And you can place them to make the greatest reflective light instead of looking directly at a light bulb from seating areas. 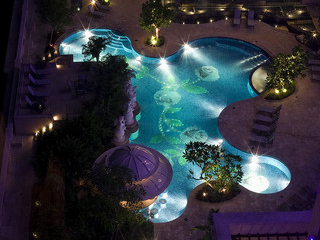 One thing to keep in mind: LEDs are vibrant, but the color of your pool will affect how they look. A bold, deep blue might not be as visible if your pool is a darker color. Light colored pools look great with deep or bright colors. Darker pools need more light. Want to learn more about pool options and, as a pool buyer, how to make informed decisions? Get our free checklist.